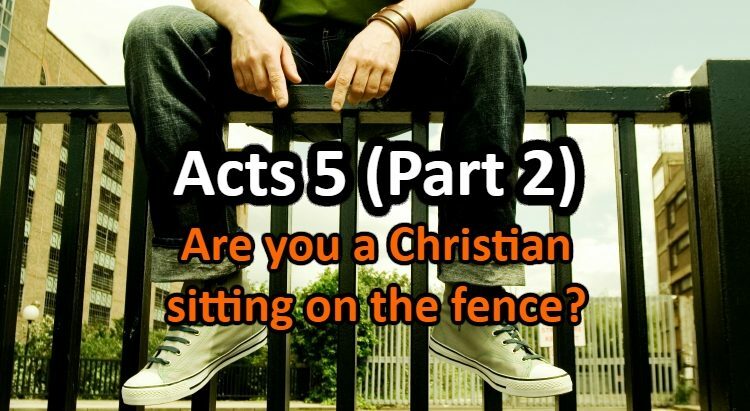 This post tackles part 2 of chapter 5 in the book of Acts. The apostles are arrested, put in prison, freed then brought before the council. When before the council, the apostle Peter speaks again once more to the Jewish leaders. The Jewish leaders are in desperate need to stop this new doctrine of Christ and don't know what to do. Let's look into the details. Obey God rather than men. In the last post, we discussed the first section of chapter 5 of the book of Acts. 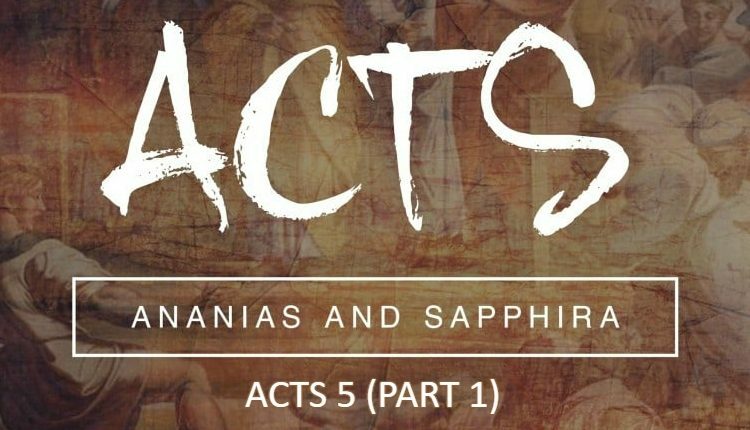 The apostles encountered hypocrisy among some members like Ananias and Sapphira, but God was quick to deal with them. The apostles continued their work for the Lord and He was with them as the church continued to grow and the sick were being healed. This again did not sit well with the religious authorities of the time as aimed to end this “new movement”. Let’s look further into the last part of chapter 5. The church was growing consistently so it was inevitable that the apostles face the religious leaders. They were astounded that people were eagerly following these uneducated fishermen. How could these ”amateurs” take over their officially appointed religious role? No wonder they arrested the apostles. Once again in this chapter, there were opportunities for the apostles to escape. Peter and John were once warned not to speak in the name of Jesus after they healed the lame beggar (Acts 4:18). However, it was not something they considered. Doing the will of God and spreading the gospel of Christ was their only objective. Peter and John were thrown into prison for the second time for preaching about Jesus Christ and “disturbing the peace”. Only this time, the other apostles were with them. Many people today think that this kind of persecution only happened in the early church. However, it takes a simple research to see that this is still happening in our world. Many Christians today are being persecuted and thrown into prisons for no other crime than speaking in the name of Jesus Christ. If these Christians are freed, will they continue spreading the gospel? The apostles did. After the apostles were put into prison, an angel of the Lord freed them at night. Instead of escaping, the apostles went back to the temple and continued speaking in the name of Jesus Christ. Safety was never an important issue to them. It always came last. They were willing to die for what they knew was true: Jesus Christ is risen. They saw Him and witnessed everything. How could they ignore such a great salvation? Blessed are those who believe and have not seen. When the Pharisees sent for the apostles, they were astonished to hear that their prison cells were empty. Instead, there they were at the temple, preaching again. Enraged, the Pharisees sent soldiers to bring them without the use of any force since they were afraid of getting stoned by the disciples. But the apostles didn’t resist and went willingly with the soldiers before the council. All was in the will of God. The Holy Spirit was guiding them and they trusted Him. It is interesting to focus on the actions of the angel sent by the Lord to free the apostles from prison. The angel opens the doors, brings the apostles out of the prison while the guards were probably sleeping (some kind of spiritual chloroform). Then the angel closes the gate and puts the lock back on. This shows how much we can trust God. Everything is under His control. How beautiful is it to know that everything is under His sovereign will and that nothing happens to us unless He wills or allows it. The words of the apostles are the words of this life because the Holy Spirit is speaking through them.. These words are not philosophy, nor theology, they are the words of eternal life given by God. This is why we should speak these words. Just like rain waters a field, the Word of God waters our heart. Are we willing to let these words bring forth the fruit they are destined to produce? Going on with chapter 5. Again the Jewish rulers didn’t know how to deal with the apostles who had to be reminded not to teach in the name of Jesus. This was the real battle. How can Jerusalem be under the rule of the Pharisees when this new doctrine is spreading all over the place? Jealousy was eating at them and they would do anything to stop this. They tried to play the victim by blaming the apostles for bringing this man’s (Jesus) blood upon them. Deep down, they knew they were the ones responsible for the execution of Jesus. Therefore, the real battle is one of rule and jealousy. They didn’t believe in Jesus. They could have repented and looked back at their own history to remember how their fathers killed the prophets, but they were blinded by their own pride and ego. History tends to repeat itself. The defence of the apostles is taken charge by the apostle Peter who answers the religious leaders systematically. This came as an answer to the Jewish leaders who were forbidding the apostles to speak in Jesus’ name. In other places in the New Testament, it’s stated that we are to obey authorities since they are appointed/allowed by God. However, this rule is not binding when these authorities go against God’s commands. God’s commandments always come first. Therefore, we can be clear about one thing. If our boss, government or any other authority has a rule that contradicts the commandments of God, we are to obey God rather than these authorities regardless of the consequences. Peter answers their second statement. They are always talking about Jesus as though He was a mere man. I personally have experienced a Godly jealousy over the Son of God when I discuss Jesus with unbelievers who think of Him as just a man or teacher. I had to learn to be patient with unbelievers who never experienced the reality of the divinity of Jesus Christ. Peter reminds them who this “man” is. He is the one that God, the God of their fathers, the God of Abraham, Isaac and Jacob raised up from the dead. This “man” is now exalted as a prince and saviour and this “man”, you, the religious leaders, have crucified. Again the apostle Peter reminds them of their responsibility for His crucifixion which of course they knew. 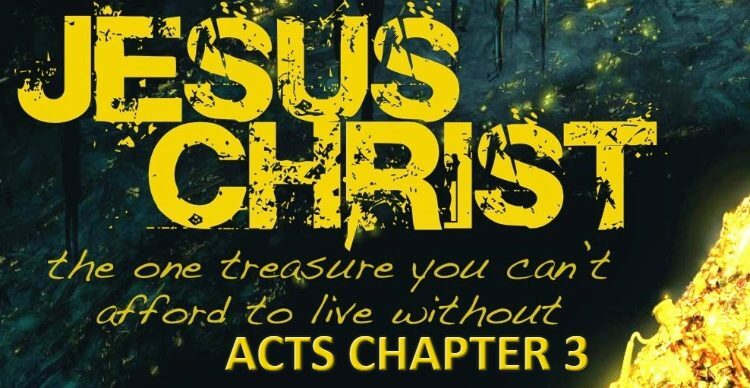 Acts 5:32 – And we are his witnesses of these things; and so is also the Holy Ghost, whom God hath given to them that obey him. These witnesses are the apostles who saw Jesus alive and saw Him ascend to heaven (Acts 1). 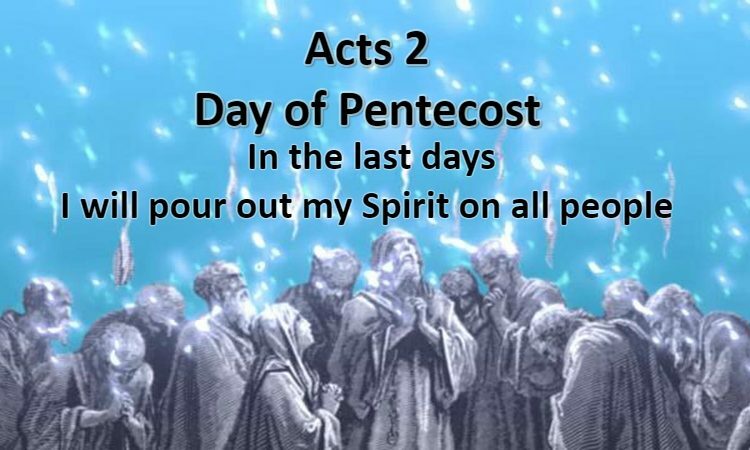 The Holy Spirit is also witness of Christ as He was doing all these signs and wonders in the midst of the people. This Holy witness is given to those who obey God. Most Christians who hear about Gamaliel and his attitude praise the wisdom of this respected and famous Pharisee. However, let’s look more in detail into his story. The suggestion is that the wisdom of Gamaliel in this story is based on human wisdom, not on Godly wisdom. Even though his behaviour seems tolerant toward the apostles, he was playing it safe. This kind of tolerance is similar to liberal theology today. But when faced with the truth of the gospel, our God demands us to take a stand and make a decision: do we truly believe in Jesus or are we going to wait and see? Gamaliel was a respected and known Pharisee, and unlike the Sadducees, he knew the scriptures and believed in the resurrection. This means the risen Christ should have been more believable to him than to probably any other person in Jerusalem. Nevertheless, he did not believe and he wanted to take a neutral stance. He wanted to wait on the fence. Why? What were Gamaliel’s motives? He was afraid to take sides and didn’t want to take sides at the present moment. He would rather wait and see. He was unwilling to take a stand because he was afraid of ending up on the wrong side. He was worried it all might be true but the real tragedy is he didn’t make up his mind and he didn’t believe. This man may have died this way, never making up his mind. Many professing Christians today act the same way. 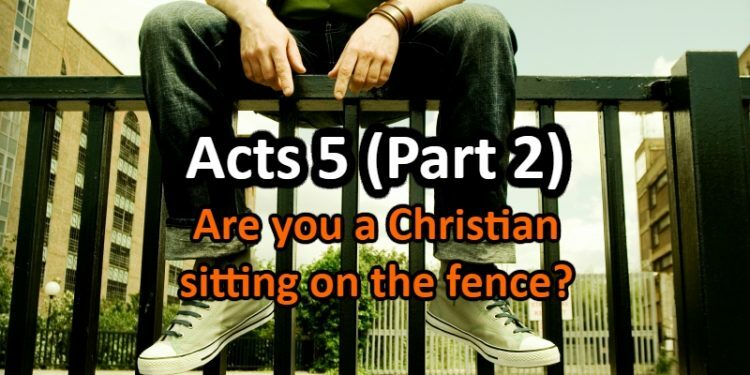 They are sitting on the fence. They are waiting to see. They claim they are saved but they are living just like the rest of the world. Gamaliel is a good example of Christians who go to church without ever committing themselves to Christ. It would have been better to act ignorantly and zealously against the apostles. Saul of Tarsus provides the perfect contrast to Gamaliel. He too was a Pharisee but because he was ignorantly zealous in acting against Christians, God used him because of that zeal. Men who fight are always closer to the truth than those who sit indifferently on the neutral side. The world hates the church now and it hated it then. The nearer we live to Christ, the worst it will get and persecution will happen. The council ends up listening to Gamaliel. The apostles are beaten (meaning 39 stripes on each man’s back until they were bleeding) and charged once again not to speak in the name of Jesus. This was the first time in church history that persecution was done by causing physical pain. Surprisingly, the reaction of the apostles was to rejoice because they were found worthy to suffer for the name of Christ. They continued teaching in the name of Jesus Christ as if nothing happened. So dear reader, which stand will you personally take when it comes to your faith in Christ? Will you be a lukewarm Gamaliel? Or will you be a persecuting Saul of Tarsus? Wouldn’t you rather believe in Jesus Christ and put all your hope in Him? It is a privilege to suffer for the name of Christ. Will you count it all joy when you are counted worthy to suffer persecution because of that name?